I started off last season doing a weekly recap of The Orville. Well, at least until three or four episodes piled up on the DVR and I got behind in my viewing and recapping. I eventually got the rest of season one, binging them* over a short succession of days. What I found was a show that was growing in confidence, characters, and storytelling, slowly moving away from the “typical” Seth MacFarland type of set-ups for jokes that more often than not didn’t quite land. The only drawback of the last three-quarters of season one was the show spent far too much time dwelling on what I considered the least interesting aspect of the show, the “will they or won’t they” aspect of Ed and Kelly’s relationship. *As much as one can binge having a two-year-old. That generally means that binging is watching a full episode in one sitting without being distracted by whatever mischief Shortcake has discovered. For some reason, I missed season one of The Magicians when it aired on SyFy. OK, I didn’t really miss it so much as tune into the first two episodes, set a season-pass and then had it stack up on the DVR. And then I promptly deleted all the episodes halfway through the season because there are only so many hours in the day. Fast-forward to a few weeks ago when the show showed up on Netflix and I decided to give it another try. Boy, I’m glad I did. Based on a trilogy of novels by Lev Grossman, The Magicians follows a group of friends who are studying to become magicians at Brakebill’s School for Magic. 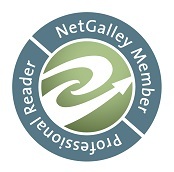 The series is described as “Harry Potter for adults,” but I think that’s doing a great disservice to both series. The Magicians owes more a debt to the C.S. Lewis Narnia series than it does to Harry Potter, if only because our main character, Quinten Coldwater grew up reading a series of Narnia-like books and has always dreamed of visiting the magical land described there. Like a lot of shows today, the show has an arc and a seasonal big-bad. In this case, it’s a threat called the Beast. A six-fingered magician, the Beast shows up in episode one and is a looming threat over the entire season, bringing our team together to try and stop them in order to prevent their own deaths. The series unfolds at Brakebill’s with Quinten and his friends studying magic and trying to up their game to take on the Beast. Meanwhile, Quinten’s life-long friend Julia fails the entrance exam to Brakebill’s and is sent back to the real world. Unfortunately, the memory wipe used on her doesn’t work and she spends much of season one trying to reconnect with magic and get back into the world that Quinten is exploring. After “The Man in the Yellow Suit,” my expectations meter for The Flash was extremely high. So much so that I fully expected whatever episode led things off after a six week hiatus to disappoint me simply because I’d had so long to look forward to it. So, imagine my surprise when mid-way through “Revenge of the Rogues” I found myself feeling like the show hadn’t missed a beat. Yes, this isn’t the same type of level of mythology episode that we got with “Yellow Suit,” but it’s an episode that is just as important to the mythology of the series and the DC television universe. In order for The Flash to work, there are going to have to be some recurring bad guys and “Revenge of the Rogues” was a nice step in establishing two recurring villains for Barry and company to face off against as the show runs its course. There were moments of “Going Rogue” that reminded me of the first season of Lois and Clark. This puts The Flash in good company since I’ve got a lot of affection for the first season of Lois and Clark. Opening with Barry testing his abilities by dashing between three games felt like a montage from those early episodes of Lois and Clark, when Clark would do accomplish ordinary tasks in extraordinary times and ways using his powers. 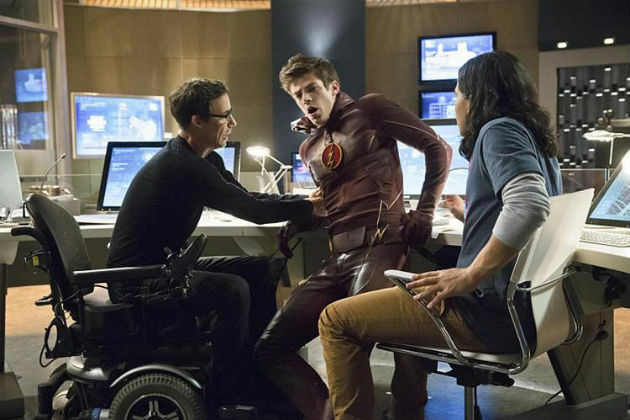 The scene of the three games and pushing Barry’s limits both physically and mentally worked very well in the episode and it also underscored the theme of the episode — that being the Flash is more than just about zipping around from place to place quickly. It’s about being part of a team. Barry will need to remember that later in the episode when it turns out the latest super villain he’s facing isn’t one of the storm’s creation but instead one created by a member of his own team. 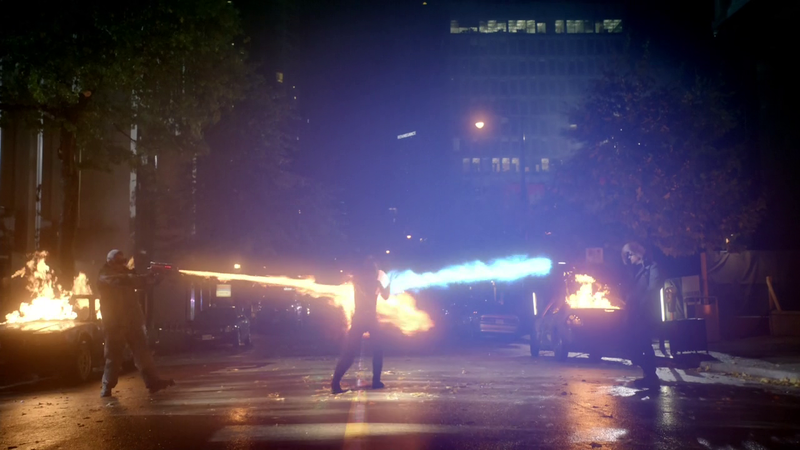 In the early days before Cisco knew if Barry would be a force for good or evil, Cisco created a freeze ray to thwart Barry. Now said weapon has been stolen from Star Labs and put into the hands of a criminal who, at first, wants nothing more than to steal a very large diamond. 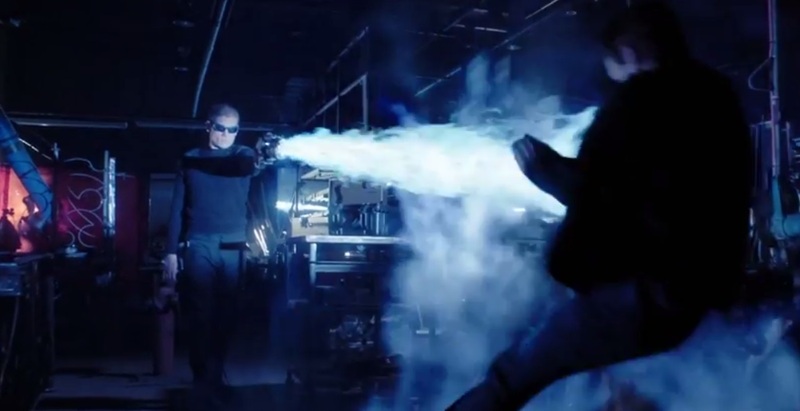 It was interesting to see Leonard Snart start as an average, run of the mill criminal who soon gets greater aspirations when he realizes the true power he wields. The first two installments of The Flash were focused on establishing Barry and his newly found super powers. 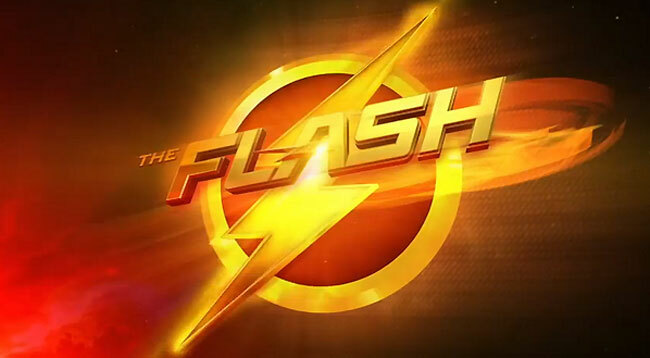 With the third episode, the series expands the focus a bit and begins to give us some development of the other characters who are part of the Flash’s crusade against meta-humans. In this case, we get a bit of expansion of Caitlin’s character, including a well done use of flashbacks to the night that everything went wrong at Star Labs. As displeased as I was last week with the flashbacks, feeling them to be the weakest part of another wise solid outing of the show, this week I felt like the flashbacks were better connected to the character and storyline. I also like the concept that the flashbacks don’t necessarily have to center on Barry’s past each week, but can instead be used like the ones on Lost were — to give us some details and insights into the character. * If you count cartoon franchises, DC wins by a mile. The best Marvel animated series of the past decade was cancelled after two seasons (that series being The Spectacular Spider-Man). As much as I liked the post-Captain America 2 run of Agents of SHIELD last year, I have to admit it had to do a lot of heavy lifting to get there. If you’re a fan who tuned out, I suggest you check out the last two DVDs from the set, catch-up and come back in. And while SHIELD came into its own late last year, it was Arrow that consistently delivered the best live-action comic book stories last season. One of the many threads from Arrow last year was the set-up for a potential spin-off centering on The Flash. Now, I was a fan of the late 80’s CBS version, mainly because we got a preview of Mark Hammill’s genius work to come as the definitive Joker in Batman: The Animated Series. But I’ll admit that it’s been a while since I watched the show, so my memory could be cheating a bit. Of the new fall shows, I’d have to say it was The Flash I was most looking forward to. So much so that I passed on the chance to obtain a copy of the pilot when it leaked on-line earlier this summer and instead made myself wait to see it actually unfold on its premiere date. One reason is that I didn’t want to have to wait two months for the next installment if the show was good and the other was I wanted to enjoy the show in all its HD glory. So, I’m a bit behind some of my fellow geeks out there when it comes to enjoying this pilot. But I’m glad that I waited to see it because it gave me something to look forward to during the fall premiere season. 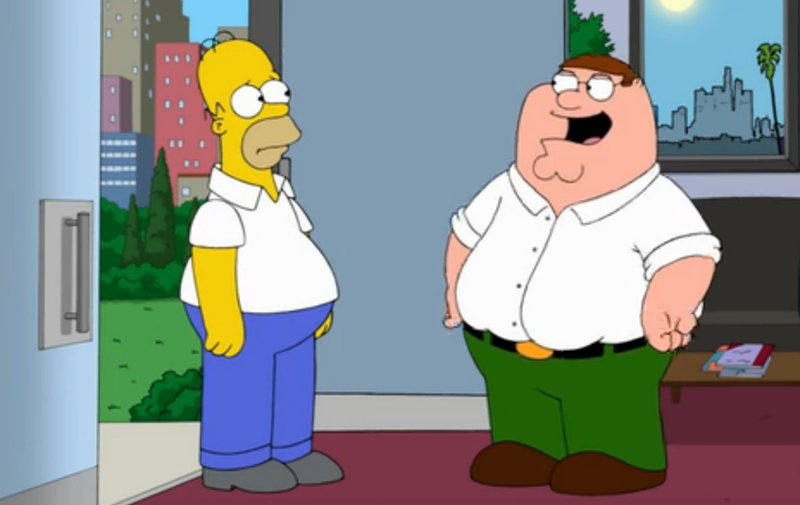 The long-anticipated animated crossover of Family Guy and The Simpsons finally happened last night and coming away from the hour-long extravaganza, I can’t help but feel a bit disappointed by the whole thing. Part of that could that it wasn’t necessarily a true hybrid of both animated series so much as it was an episode of Family Guy that featured characters from The Simpsons as guest stars. Apparently the writers for The Simpsons gave their blessing to the Family Guy creative team to write the episode, but didn’t necessarily have much more input into the final product. I have a feeling whether or not you enjoyed the episode depends a lot on how you feel about Family Guy and the Seth MacFarlane animated empire. I’ll admit I lost interest in Family Guy right after it was resurrected from cancellation and haven’t dropped back in much since (the Star Wars parody episodes being the exception and even those didn’t really click for me). I felt like the ratio of hits to misses in the joke department was growing too far into the misses side and that even jokes that hit their target tended to overstay their welcome.